Once Victoria unthaws, the spring sun will bring us much closer to the start of the annual cruise ship season. 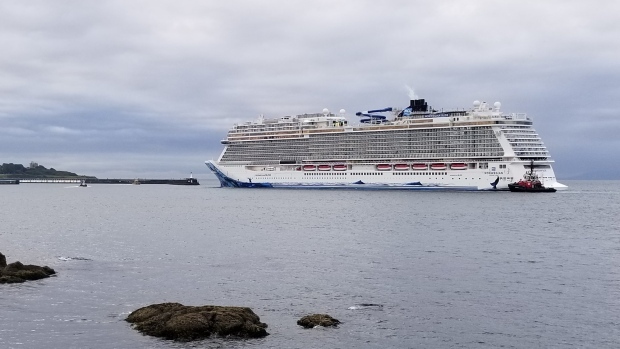 The steady stream of cruise ships is expected to grow in 2019, and once again flood the city with tourism dollars and local jobs. Job seekers of all experience levels can attend the upcoming Victoria Cruise Industry Alliance job fair for a chance to capitalize on the annual economic boom. Over 800 direct and indirect jobs were supported by the cruise ship industry last year, and that number will rise with the influx of passengers, according to the VCIA. Businesses such as The Butchart Gardens, Greater Victoria Harbour Authority, Coast Guard and Orca Spirit and many more will be recruiting at the job fair. Positions ranging from front-line to skilled trade, dock crew, maintenance and administration will all need to be filled before the season ramps up when the first ship arrives in April. After the Greater Victoria Harbour Authority faced a small setback in the expansion of the Pier B mooring dolphin extension in early December, GVHA spokesman Brian Cant says the organization is still on track to host all ships for the 2019 season. “There’s an estimated $130-million impact on Victoria’s economy every year,” Cant said, adding that he expects the total number of cruise liners visiting Victoria’s harbour to increase to 265 this year compared to 250 a year ago. The full expansion to Pier B will be completed in the fall, which will allow the GVHA to accommodate even more traffic in the 202 season. The VCIA job fair takes place Feb. 23 from 10 a.m. to 2 p.m. at Ogden Point.